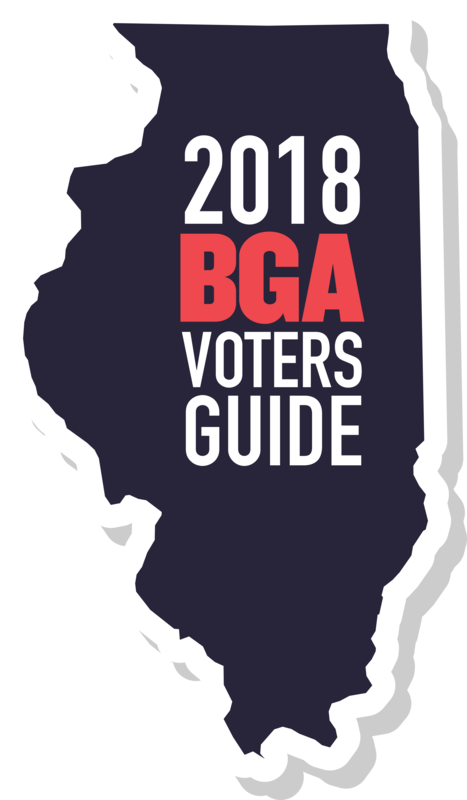 On March 20th, Illinois voters will select their party’s nominees for the November 2018 general election. In some cases, the primary is the only real chance voters have to weigh in on the 2018 election because one party tends to dominate the political landscape. For 19 seats in the Illinois House of Representatives, three seats in the Illinois Senate, and many Cook County positions only one party is running candidates and the winner of the primary is likely to be the ultimate winner of the general election. Political parties do have a window to appoint candidates to run after the primary, but they might not always do so. In addition, your local ballot might ask for your views on local school funding or other policy and tax-related matters. View state offices up for election in 2018. Find your local election authority to view local offices up for election in 2018. You can check your registration status on the state’s Registration Lookup website. If you’re registered, the website also will provide your polling location. You will need two forms of acceptable ID, including at least one document with your current address and one with your photo. Before February 20th, you may register to vote at the following locations: county clerk offices, board of election commissioner offices, city and village offices, township offices, schools, public libraries, military recruitment centers. After February 20th, you may register in person only at the time you vote, at select locations in your county. You can find these locations on your county’s election website. In addition, until March 4th, you may use this online application to register to vote. You can register to vote on Election Day, March 20th. However, you can only do so in your home precinct. The same ID requirements apply. Do I have to be registered with a political party to vote in the primary? No. Illinois has what is known as an open primary. You do not need to be registered with a political party. However, at the polling place you will need to tell a poll worker which party’s ballot you would like and you can only choose one. Once registered, can I vote early? Yes. Early voting in most of Illinois begins February 8th and ends March 19th. Please select your county here to access specific dates, times, and places. Due to delays in legal battles over whether some candidacies can continue, in Cook County suburbs, early voting is scheduled to begin March 5th. Please see this link for specific dates, times, and places. Due to delays in legal battles over whether some candidacies can continue, in the City of Chicago, early voting is scheduled to begin February 21st. Please see this link for specific dates, times, and places. Voting by mail requires an application. In order to complete a ballot and mail it for the primary, you must complete the application by March 15th. For those who have completed their application and received a ballot, mailed ballots must be postmarked no later than Election Day (March 20th), and must be received within 14 days of the election. Click here for more information. You can find the location of your polling place on the Registration Lookup website, or on your county’s website. If you’ve moved since the last election, make sure to re-register listing your new address. The rules that apply if you’ve moved and need to re-register can be found here. What time are the polls open in Illinois on Primary Election Day, March 20th? Polls will be open from 6:00 AM to 7:00 PM. The Better Government Association is a non-profit, non-partisan organization. We do not endorse or recommend candidates. Please see our candidate questionnaires for competitive statewide and Cook County-wide races, which focuses on open and accountable government. We encourage you to research candidates and be an informed voter. In addition, many local newspapers including the Chicago Tribune, the Chicago Sun-Times, the Daily Herald and the Springfield State Journal-Register interview candidates, publish candidate questionnaires and might provide a list of candidates their editorial boards endorse. Various bar associations also frequently publish ratings of candidates for judgeships. Read the BGA candidate questionnaires.